Bose Aware Mode – Gesture on your jacket to toggle noise cancellation on select Bose headsets. Places – Drop a pin while on the go and save a location. Rideshare – Connect Lyft or Uber and the Jacquard snap tag will let you know when your ride is here. The Calls & Text ability has been updated on Android to allow you to Brush In to answer a phone call from your jacket! Let us know what you think of it by sending feedback from the app! In short, you can now make a gesture on your jacket to turn some Bose headphones' noise cancellation on and off, drop a pin wherever you are to save a location, connect Uber and Lyft to have your snap tag notify you of your driver's arrival, and "Brush In" to answer phone calls from your jacket. Bet your friends can't do those things with their lame, outdated jackets. The update's rollout began a few days ago, but it appears to have now completed. If you need the APK for whatever reason, we've got the latest Jacquard APK over at APK Mirror for you. 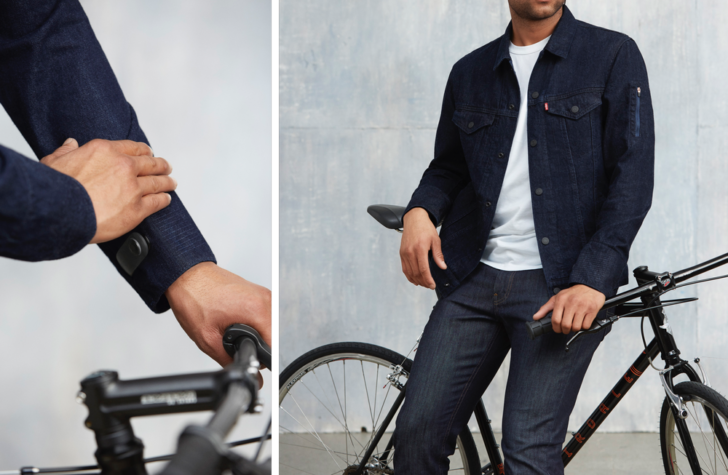 And if you want a Jacquard jacket for whatever reason, Levi's is offering 30% off the $350 MSRP with code JACQUARD30 through the end of the year, effectively bringing the price down to $245.